Can you spot American President, Barack Obama's face in this throw back picture? 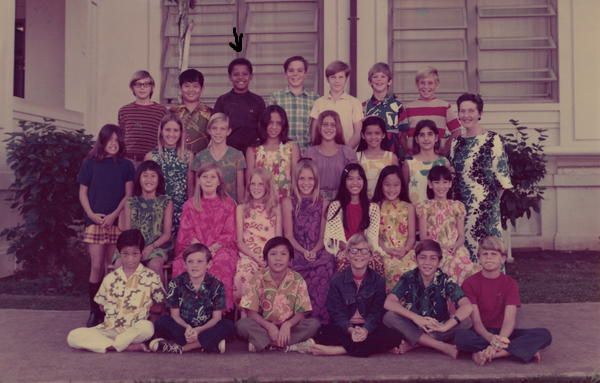 In honor of Teacher Appreciation Day which holds today in the US, President Obama tweeted his thank you message to his fifth grade teacher along with a photo of his fifth grade class. He wrote, "To my 5th grade teacher Ms. Mabel Hefty and the educators who inspire our young people every single day: Thank you".